With a little help from a Mythbuster. I grew up loving Monty Python. I still do! So, naturally, when members of the Python troupe ventured into other projects, I followed right along. 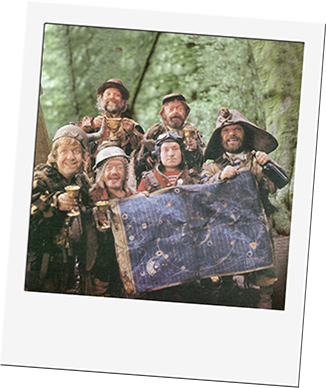 So, when Terry Gilliam’s Time Bandits was released in 1981, I was there. Loved the film – even the off-beat ending. 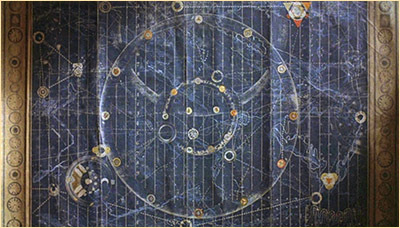 And, as someone who was soon to begin a career in graphic design, I really wanted a copy of the map of the universe from the film. 26 years later, I decided to make my own. And I received some help from a surprising source. My interest in this map was rekindled in 2001. I’d been a fan of movie props for some time and frequented a couple web forums devoted to the subject. A board member announced his plan to recreate the map. It looked promising and took quite a while. When it was finally complete, it’s price tag was beyond my meager budget. But, I was inspired. I began collecting all the reference material I could find. In 2007, I began making my own map. But first, some background info. 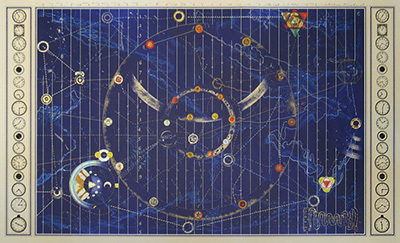 There were at least two different versions of this map created for the film. The map used during filming and handled by the actors exhibits different detailing and color than the map seen during the credits sequences. My map would replicate the prop used during filming. My personal theory on the different props goes like this. They created the map for filming and it took quite a beating. They may have had multiple versions there too as that’s generally the practice in case a prop is damaged or lost. After filming wrapped, they needed a map for the credits sequence. They rolled out the film map and realized it was not in the best shape. So, at that point they created a new map. It’s a very close match but not exact. Another big giveaway that they are different props is that the map seen during the film only has the clock panels on the left side. See the photo above from the famous Polaroid scene. 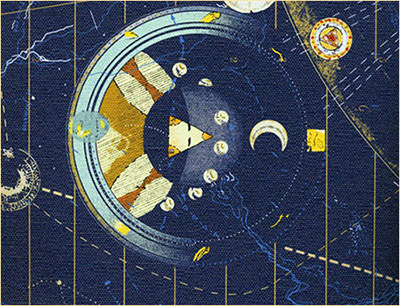 However, the map seen during the credits has clock panels on both sides as seen below in a shot from the end credits. Note that the map is slightly cropped at the top and bottom in this shot. One source I found stated that the maps were created by Terry Gilliam himself. Given his talent at art and animation, this is not surprising. Gilliam created the animation sequences in Monty Python. It is believed that after filming, Gilliam kept one map and his production partner (and former Beatle) George Harrison took the other. It appears that the filming map went to Harrison while Gilliam kept the newer map used for the credits sequence. I have no idea what media or materials were used on the original map, but I’d love to find out some day. I decided my map would have clock panels on both sides. I hoped to sell some prints of these when completed and thought having the clocks on both sides would give the most options to buyers. I began recreating the map in Photoshop. I spent about two months on the project. I kept finding details on the original that I missed. The Photoshop file was becoming enormous. Because I needed to keep elements separated for ease of future editing, the file ballooned to 188 layers with an overall file size of 1.72GB! Once the file was complete, I had a print vendor produce a sample on canvas material. It looked impressive! You can see subtle differences in positioning of objects and colors by comparing my map on the right to the credits-sequence map above. In particular, note the color differences of the triangular graphic at the upper right. I had hoped to sell a handful of maps to help me justify all the hours spent. But, I knew if I never sold a single map I still had mine, which was the main goal. Another concern with selling maps is that, by that time, there had been two fellow fans who had made and sold replica maps. I worried that everyone who wanted one had already purchased one of the earlier versions. By far the largest web forum for movie props is the Replica Prop Forum (the RPF). I had been a member for years. This forum is vast and its membership includes the casual fan right up to guys building props for the movies. You will see things on the RPF you won’t see anywhere else. It’s just an amazing place to be. And, they have a “For Sale” forum. So, I posted the map and received a handful of orders right away. Soon after, I received an order and an email from a fellow RPF member named Adam Savage.
! was selling maps to numerous fellow fans who were also industry insiders. I sold maps to guys who were FX artists at ILM and Pixar in California and Weta Digital in New Zealand. I sold a map to Mike Liebhold with an intriguing mailing address at the “Institute for the Future.” I contacted Mike about his job and we discussed the map at some length. Mike’s good friend and associate David Pescovitz is a co-editor of boingboing.net – one of the most heavily-trafficked blogs in the world. David saw Mike’s map and was compelled to post it on boingboing. He also included extracts from our emails in the article. That generated more orders! I was next contacted by one of the biggest movie-geek sites around, AintItCool.com. They featured the map in their Christmas gift guide for 2007. 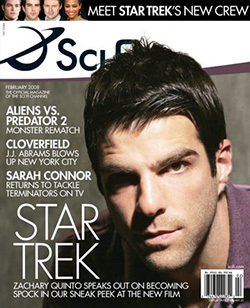 Finally, I was contacted by Sci-Fi Magazine and the map was featured in a small blurb in their February 2008 issue. So, basically, it was a hit! Over the first few months, I made several rounds of revisions. Some were things I’d missed and others were feedback from fellow fans. I believe this is the most detailed and accurate replica yet created. I WANT ONE! HOW DO I GET IT? Maps are available at the Metropolis store at etsy.com. Just click the etsy button below. Maps measure 40 inches by 24.5 inches and are printed on a matte-surface, fine-art canvas with a high-end giclee printer. Both the ink and canvas are archival for decades under most display conditions. The finest details of the digital file are duplicated as can be seen in the close-up to the left. Maps are shipped via USPS and rolled in a sturdy mailing tube. There and Back Again, the Hobbit’s Map. Butch and Sundance – “Wanted” Again! Remembering the “Marvel” of Oz. Thank you! I’ve been wanting one of these for decades, basically since I forst saw the movie in the theater all those years ago. This is my favorite movie. I’m so excited. I thought about making one for years, but never found good enough reference. I’m so glad you put in the time on this. My wife just ordered one for me from your Etsy store. I can’t wait! I’d really like to distress it so that it looks like the one in the film. Have you done this to any of your copies? Have any tips? I’m an animation artist wiorking at Blue Sky Studios, makers of the Ice Age movies among other things, so you can add Blue Sky to your list of film industry sales 😉 I’m telling a co-worker who is also a huge fan about this. Maybe he’ll order one too. Thanks for buying. As for weathering, yes, I have done about a dozen over the years. I like instant coffee and graphite powder for coloring. I dab it on gradually with a damp rag to build up color layers. I also grind down the cut edge of the map with a dremel to rough it up. Finally, make the folds and lightly sand the edges. Also, thanks for passing the word to your co-worker. Any chance you’ll get another of these in your Etsy store soon? Yes, etsy has been having some bugs lately about renewing items. I was able to add one back in the shop. Thanks. Received the map, it is gorgeous, and much higher quality than I had even expected. Do you have any pictures of it already framed? I need ideas. My wife made this simple frame. Low cost and looks great! This map is truly extraordinary and even better when you actually see it in person. I decided to go the extra mile and get it professionally mounted and framed at Michaels (after pricing other services in my area they were far more affordable) and the end result blew my expectations into the stratosphere. Just brilliant all the way around. 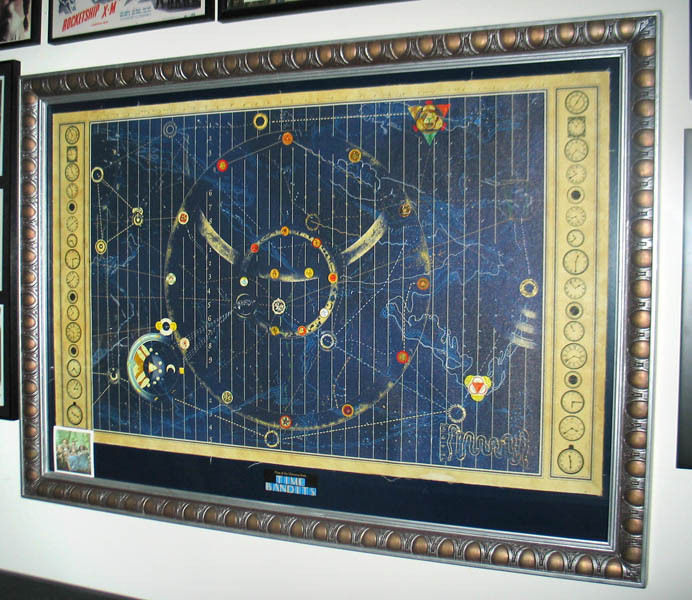 Your replica of the time bandits map is truly a work of art. I just cant get over the detail. I was going to frame it but I Keep wanting to Look at it close up so I decided to get a second one to frame and keep my first one for closer examination. One cool little side note if you watch the film you can actually see where on the map Randal Points when he tells Kevin there in 1796 Battle of Castigleone, although when you try to read that part of the map it does not actually have a date or a place written near that location even though it does look exactly like the original location, Maybe the map is written in some special language you have to know how to read. After all its Gods Map so who says it was written for modern folks like us to understand completely. I do like to look it over and try to imagine where the heck the time of legends is and the fortress of ultimate darkness even though I’m pretty sure it was never disclosed on the map in the film even though Kevin takes a quick look at the poloroid of the map to look at the time hole in the fortress of ultimate Darkness it’s only for a split second, so I guess it’s still a mystery but I like a good mystery. LOL! Overall a great replica from one of my Favorite movies as a kid. You’ve made my childhood dream come true! Thank for making a great Replica of Movie History!